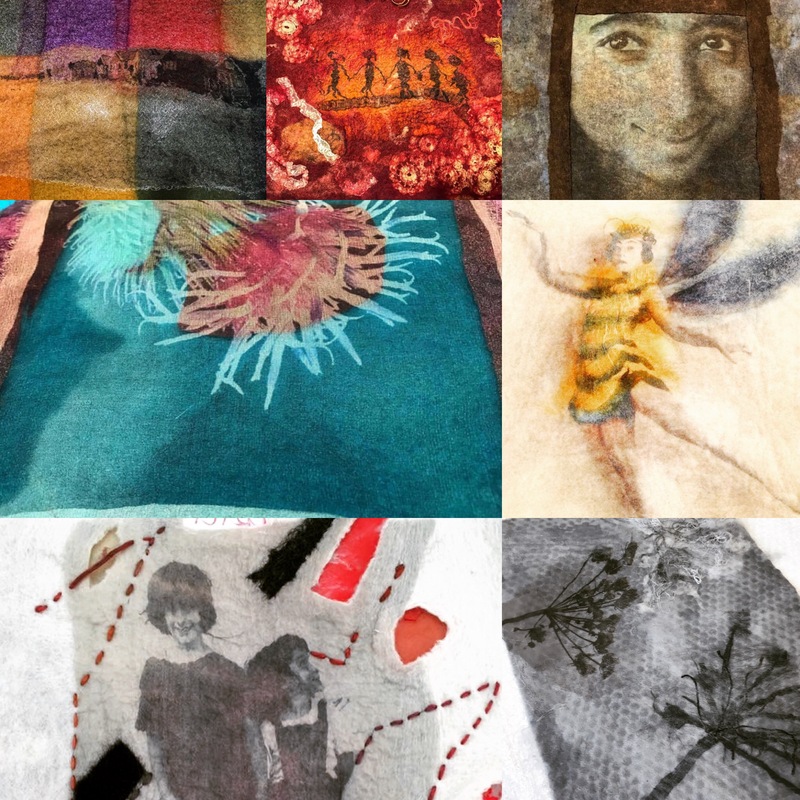 On this exciting innovative experimental 2 day workshop you will learn how to transfer your favourite images that you have taken or sketched onto silk and then proceed to add fibres to nuno felt as a stand alone design or to reinvent the picture by chopping, rejoining, adding and felting and shadow work. The venue is located in Worcestershire in beautiful countryside and more details will follow shortly along with accommodation links. Payment can be made on my website via PayPal on the workshop page or if you wish to send a cheque please inbox me for further information. The Gentle Roller felting machine will be available to use during workshop time.